Interested in trying trail running? Want to explore some of the great trails our community has to offer without getting lost? Please join us for our Thursday Night Trail Runs. Each week we run a different trail system. The runs are led by members of the Medved staff and Medved Ambassadors; all speeds are welcome and there is no cost to participate. We will be offering two groups. 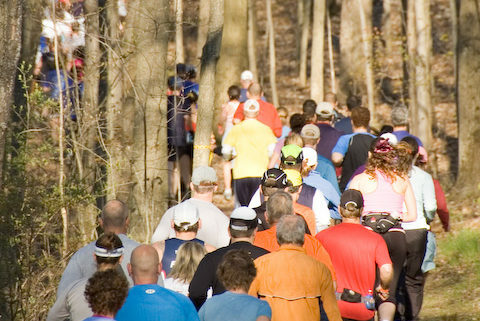 One of the groups will run approximately 6 to 7 miles, and the other group will cover between 4 to 5 miles. The runs last about an hour.